The Christmas Day Celebrations was conducted on the 21st of December. 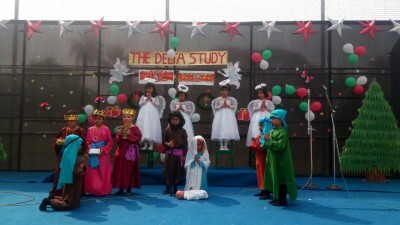 The nativity scene was presented by the Kidergarten Kids. The choir rendered carols which added harmony to the celebration. Santa arrived on a bullet and distributed sweets to the children. Christmas tree decoration competition was conducted and prizes were distributed to the winners.